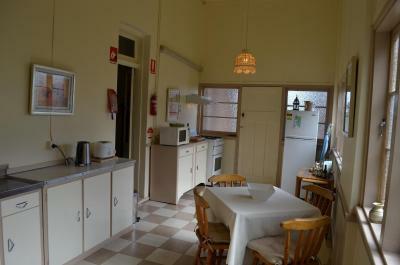 Lock in a great price for Old Parkes Convent – rated 9.6 by recent guests! 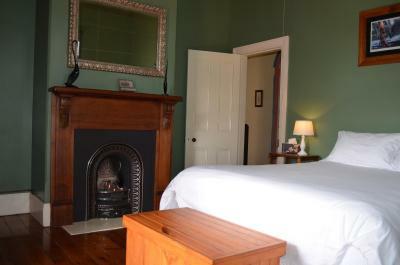 An impressive historical property with genuine period features; spacious apartment with two sitting rooms and kitchen/diner; comfortable bed/pillows; ingredients for cooked breakfast provided; kitchen well stocked; very generous host who helped with my research. Spacious and very comfortable. Fantastic breakfast goodies. Bed large and so comfortable. Loved the hot tub. Pets loved the back yard. An exceptional restoration of a beautiful building. 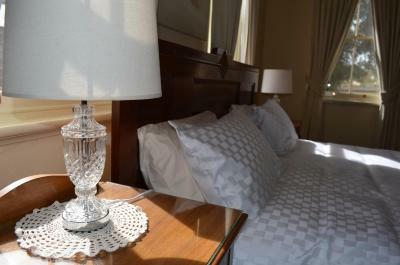 Makes for a very comfortable and spacious choice of private apartments. Very helpful staff and good facilities in keeping with the building. Would visit again. Young female adult daughter travelling alone from Melbourne to Brisbane felt very secure, loved the welcome and tour around to property - chickens and cute dog was a bonus! Slept sound in great comfort and was able to totally relax knowing she was safe and in a clean welcoming environment. Thanks from one worried Mum. I would highly recommend as communication was good as well! The Old Parkes Convent has held onto its wonderful historical feel whilst also providing everything you could possibly need for a comfortable, relaxing stay. The room was spacious and had a great atmosphere. Enormous room. (Music Room). Fully equiped kitchen and breakfast makings. Fire going when we arrived. Very comfortable in old style way. Full of character and style. 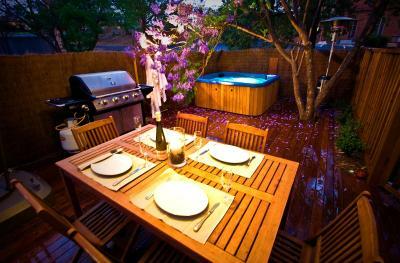 Located in Parkes, Old Parkes Convent provides accommodations with a hot tub. Free WiFi is offered. There's also a kitchen in some of the units equipped with a microwave, a toaster, and a fridge. Forbes is 21 miles from Old Parkes Convent. 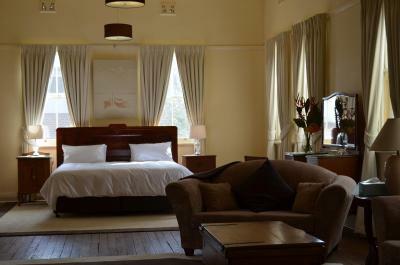 When would you like to stay at Old Parkes Convent? This apartment has a balcony, cable TV and toaster. This apartment features a stovetop, toaster and electric kettle. 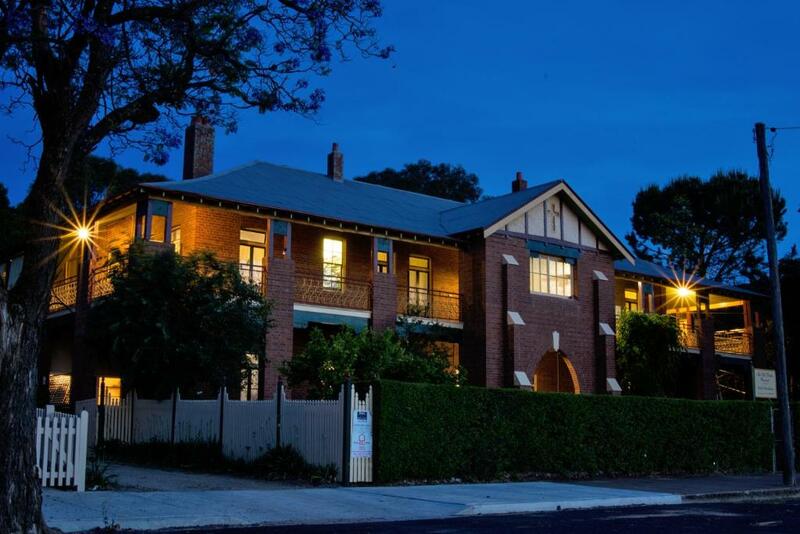 House Rules Old Parkes Convent takes special requests – add in the next step! Old Parkes Convent accepts these cards and reserves the right to temporarily hold an amount prior to arrival. Please inform Old Parkes Convent of your expected arrival time in advance. You can use the Special Requests box when booking, or contact the property directly using the contact details in your confirmation. A bit pricey but this is a very different property. A light on over gate would have helped us find the place at night in the dark street. Amazingly restored properly, equipped with everything you need. Beautiful room, comfortable beds. Beautiful grounds, chickens running around and the devine Ms Tilley (dog). Wonderful hosts, attentive and so welcoming - my children (3 & 6) did not want to leave. 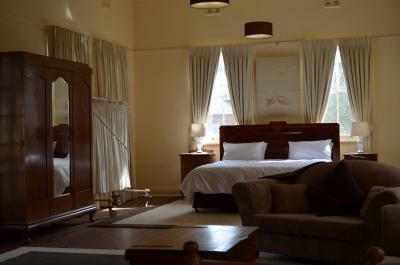 The accommodation we booked for our one night stay was at the top of the chapel- truly beautiful and comfortable. 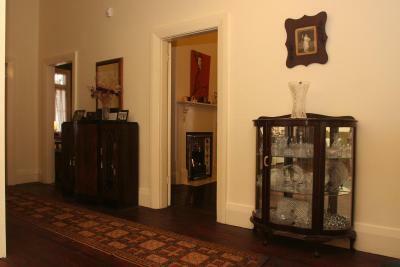 It was tastefully furnished but also had all the creature comforts you would like in your own home. 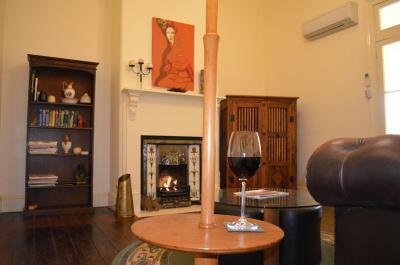 Blankets, utensils, electric blankets, Foxtel, hot tub, torches, complimentary port wine! What a lovely place to stay. Colin’s warmth and Ms Tilly (friendly little dog) was much appreciated. The bathroom was freezing, even with the heater turned on 15 minutes prior to use.